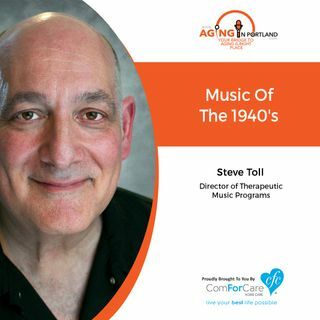 Steve Toll, Director of Therapeutic Music programs for ComForCare Health Care Holdings, joins us on today's show. Steve transports us back to the 1940s, reminiscing and singing the popular tunes of America's greatest moment in history. Sing along with Steve as he reminds us of these beloved songs.